It's where the ladies entertain and the men retire. 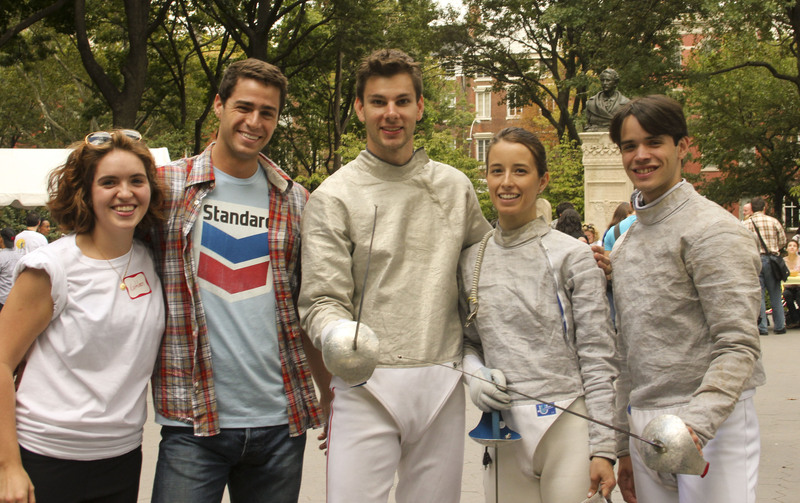 On September 17th, members of the Fencing Masters NYC team joined forces with Esmeralda Williamson-Noble to raise awareness about suicide and to promote mental health and well-being. At the inaugural Get Your Wellness On! fair fencing was presented as a form of “alternative healing” — a sport that strengthens both the mind and body while also providing a supportive community people can turn to in times of need. 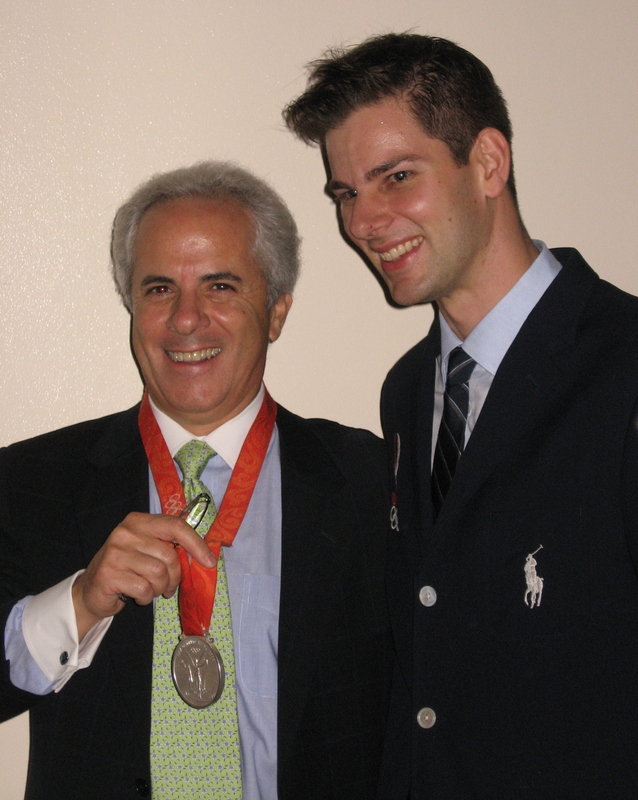 Inspired once again by Esmeralda’s endeavors, Fencing Masters NYC stepped out on the town on October 28th to use the sport of fencing to help save lives. After losing their infant son Alexander to SIDS, Esmeralda and her husband Hugh began the Windflower Charity Ball as a fundraiser for First Candle. Over a decade later, the well-attended Charity Gala, with its live and silent auctions, is the organization’s major annual fund-raising event. To help First Candle in its efforts to unite parents, caregivers and researchers nationwide to advance infant health and survival, the Fencing Masters NYC co-chairs (Tim Morehouse, Daria Schneider, & Kathleen Reckling) donated 2 VIP tickets to our Hammerstein Ballroom event on November 17th. To compliment the auction winner’s introduction to fencing, Olympic Silver Medalist Tim Morehouse donated an hour fencing lesson. The total package was valued at $750… and as the night began, Tim and Kathleen crossed their fingers! Please! Someone! Bid on us! Do we have $500? Yes! Can we have $1,250? Sure! At the end of the night, we had met several former fencers and children of fencers — a neat reminder that everyone does in fact know someone who fences. The most exciting parts of the evening? Seeing the Fencing Masters NYC donation become one of the few lots to exceed its estimated value and watching the sport of fencing raise $1,500 for First Candle and SIDS research. For those of us working on Fencing Masters NYC, there is nothing more invigorating than sharing fencing and using it to serve others. The auction results are a testament to the power sport has to do good in the community — an athlete doesn’t have to be a Peyton Manning or a Lance Armstrong to raise awareness for a cause, they just have to be ready to roll up their sleeves and get to work.